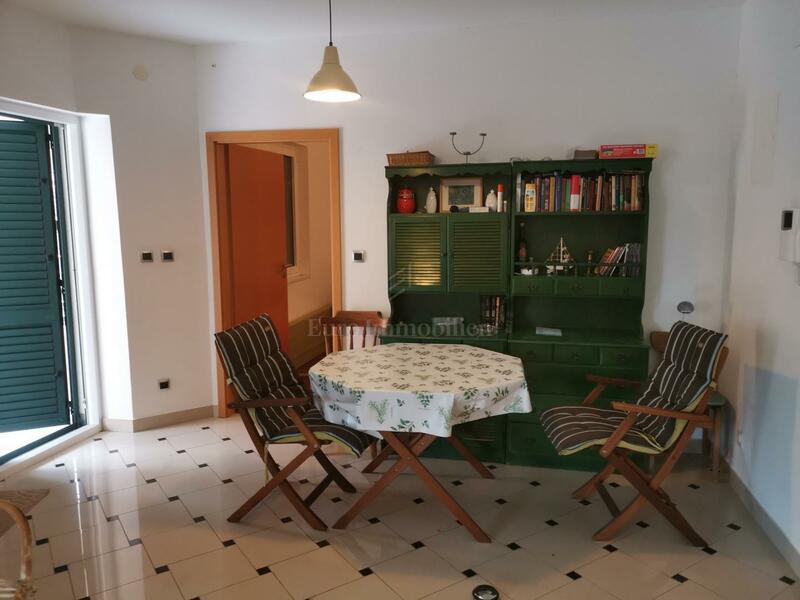 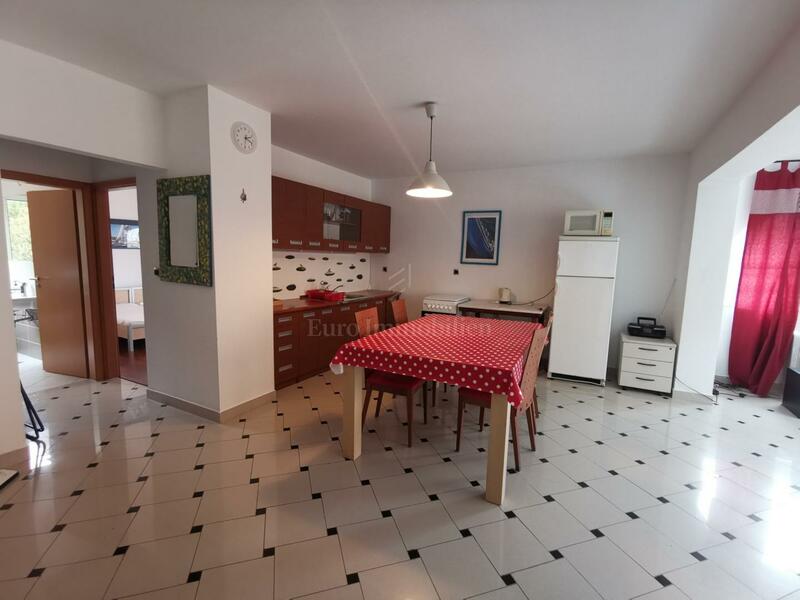 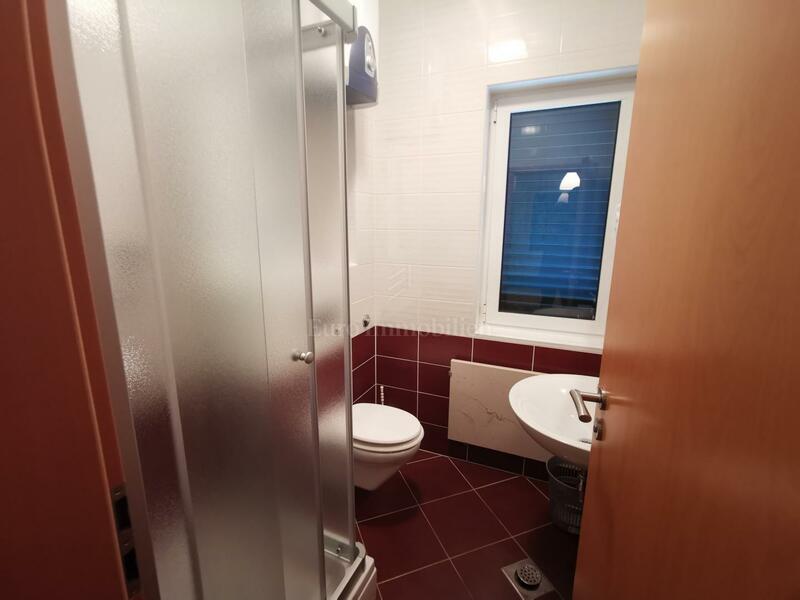 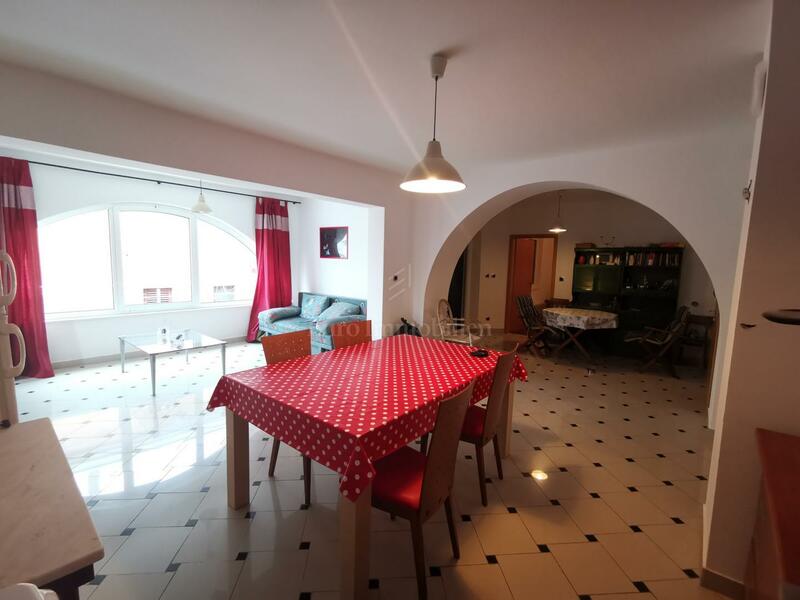 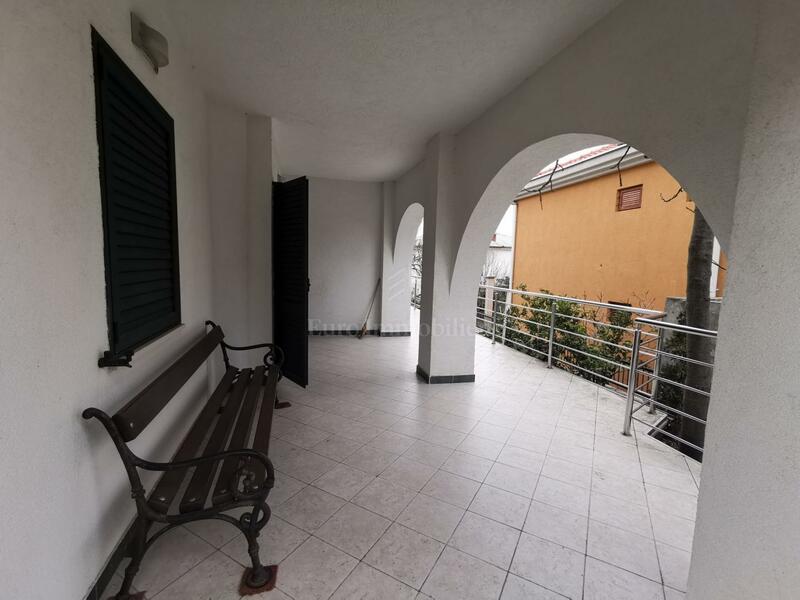 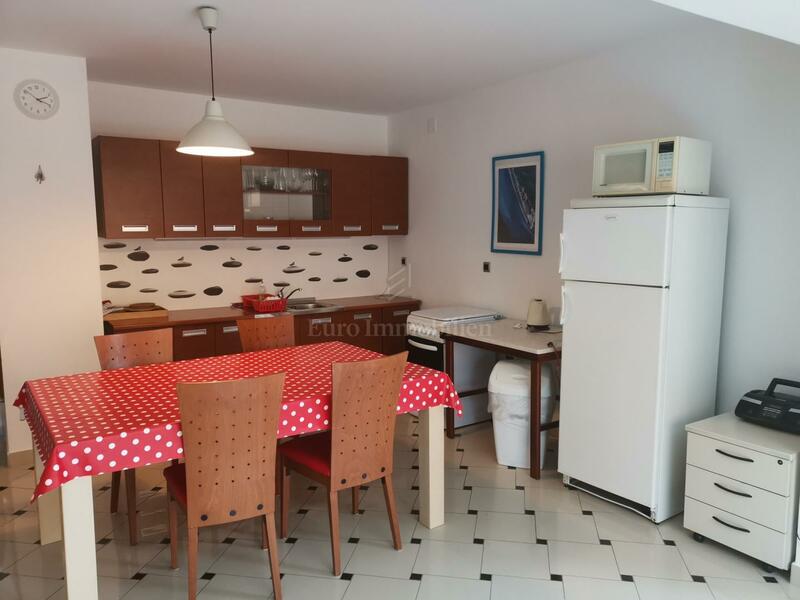 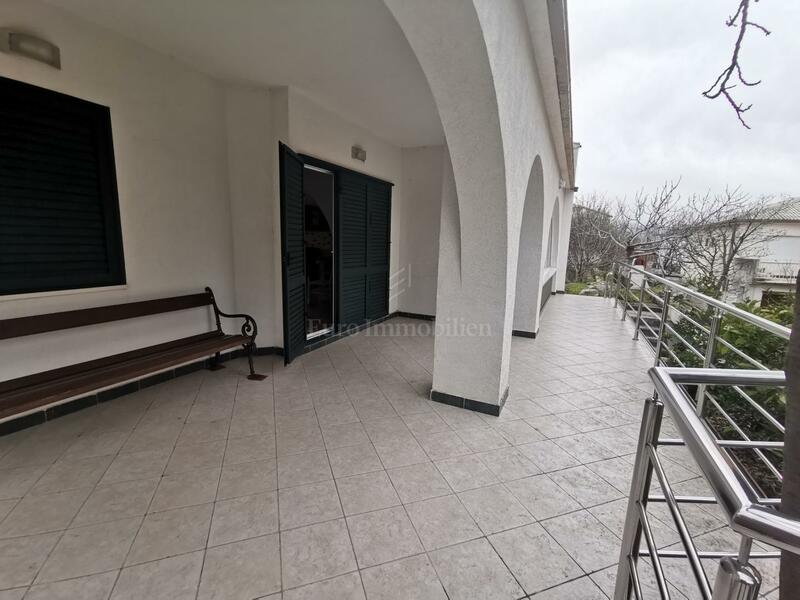 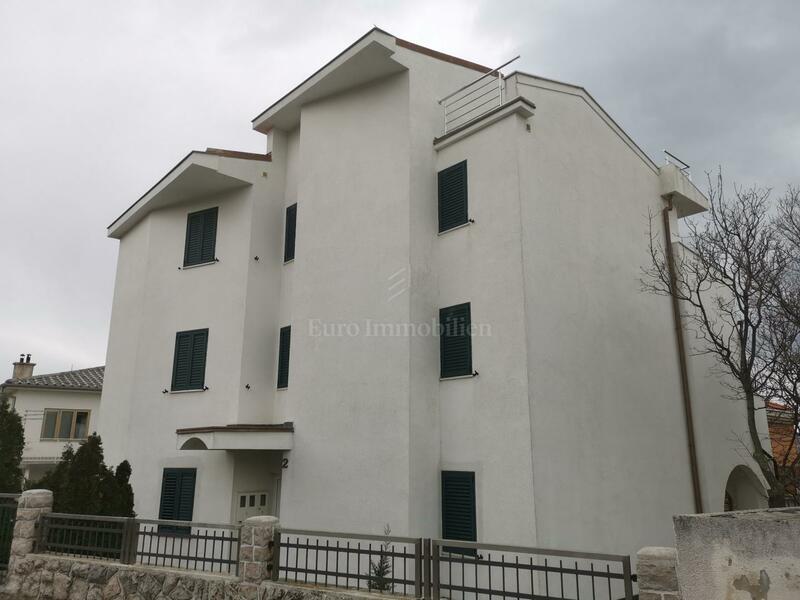 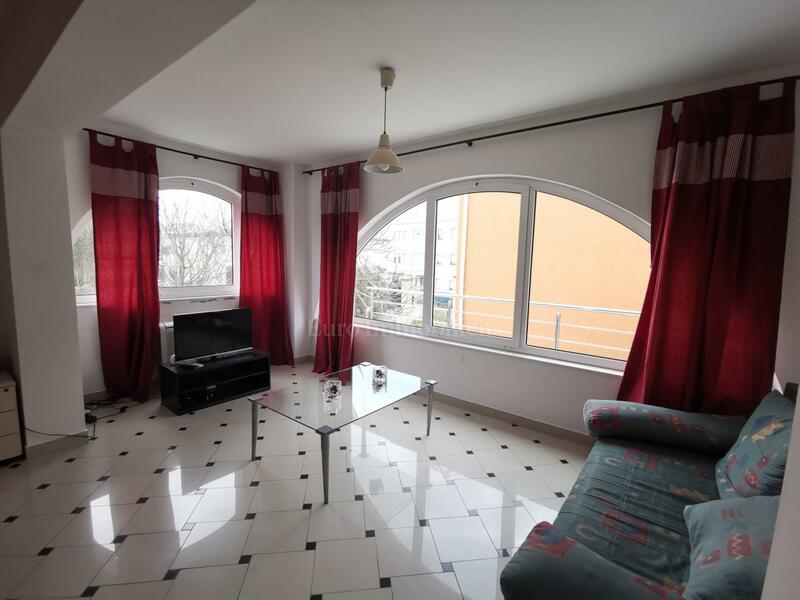 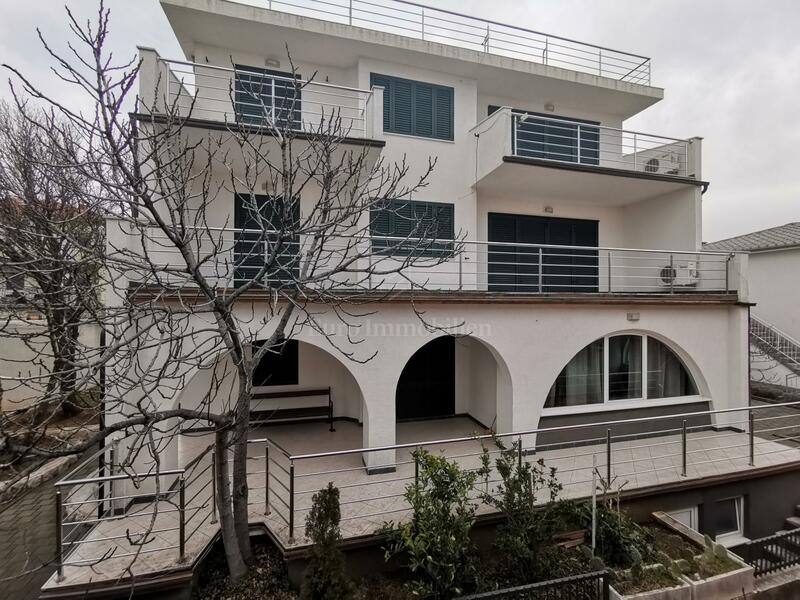 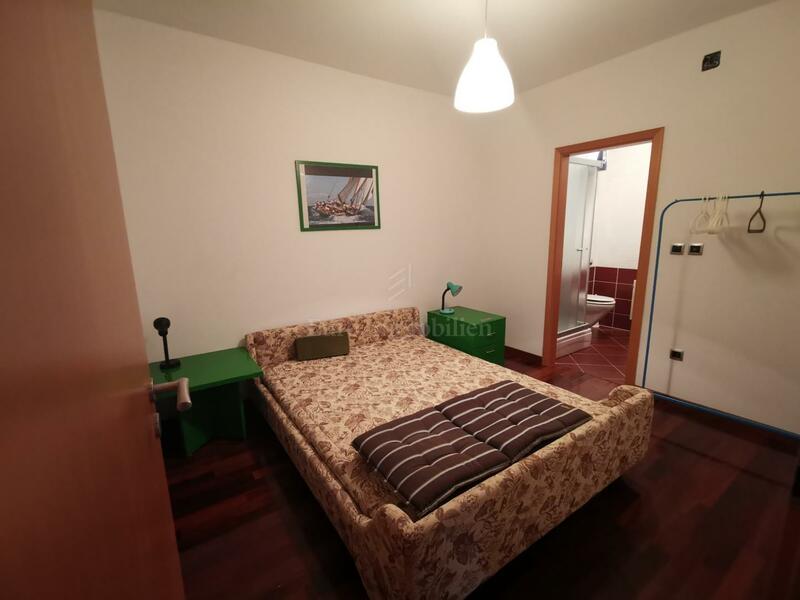 In a quiet location in Novi Vinodolski, only 300 m from the sea for sale is a furnished apartment on the ground floor of the house with three apartments. 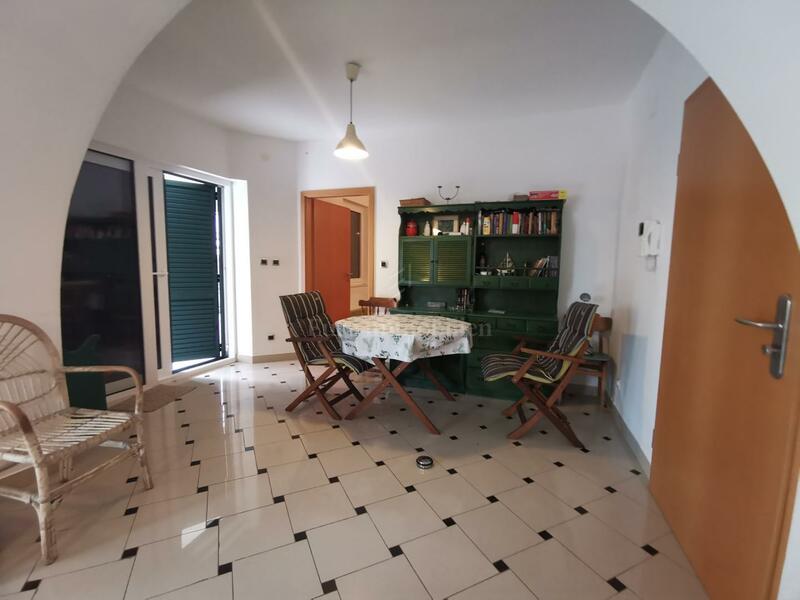 Apartment of 103 sqm consists of a living room, kitchen and dining area with access to a spacious terrace, two bathrooms and two bedrooms, one with its own bathroom. 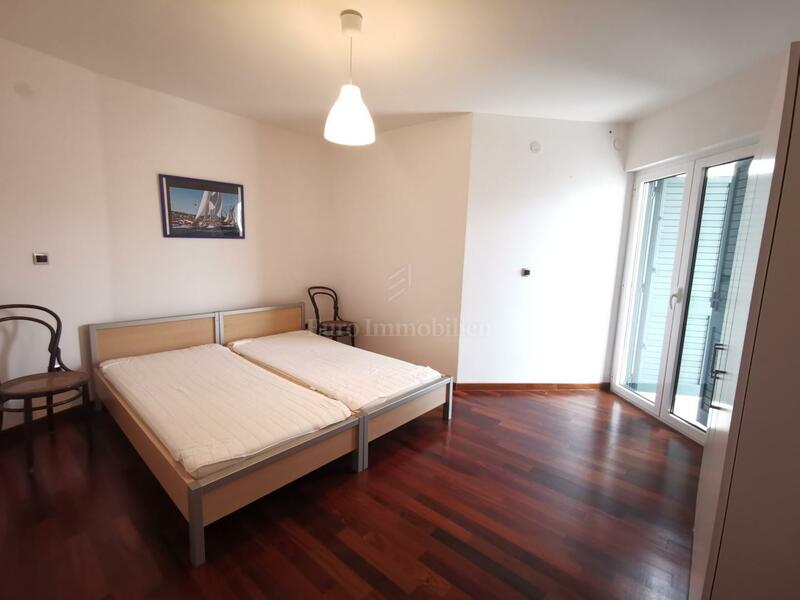 The apartment is air-conditioned, has ALU joinery and quality floor coverings. 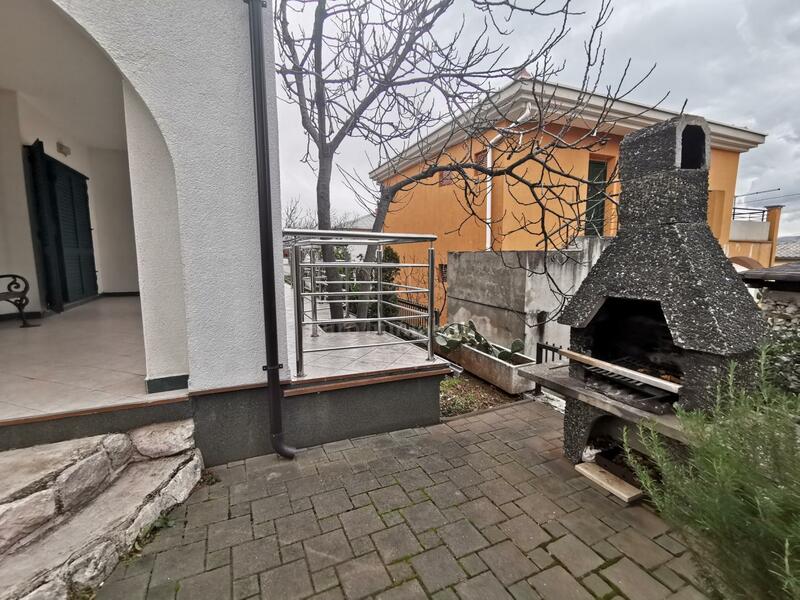 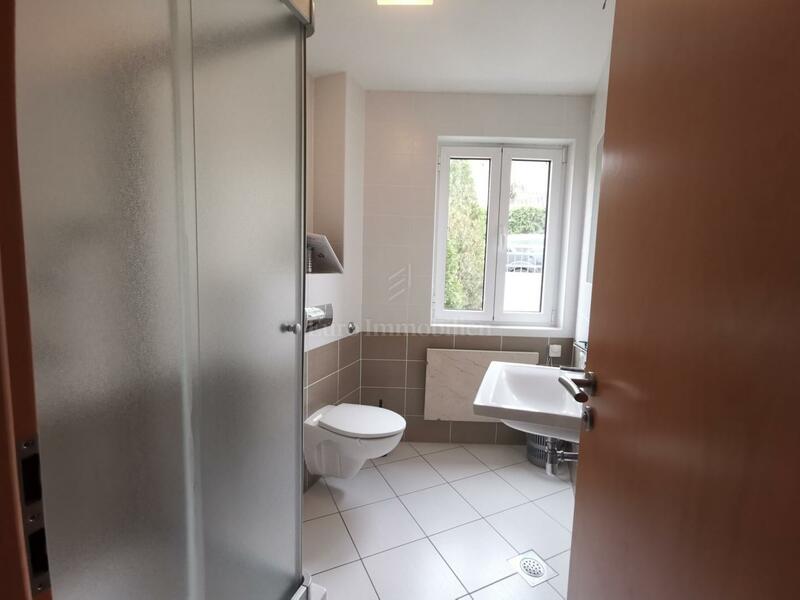 It has a basement and 50 sqm of garden on which is barbecue in stone.